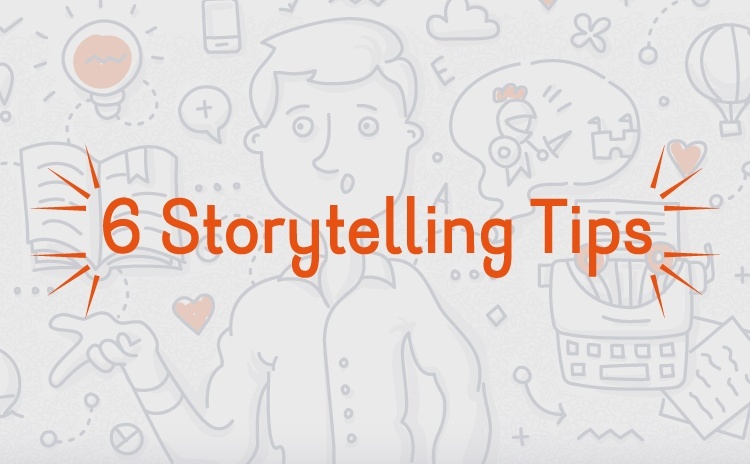 Stories convey so much evaluative information because not only do they provide content, they also reveal the essence of the storyteller’s passion, genuineness, and personality. A story can throw a listener into fits of rage, or it can cause them to creep to the edge of their seats with anticipation. A story can make a listener cry wistfully, or it can inspire grand acts of courage. Telling a story is holding power in your hands. Content Marketing is a company’s story. It is a strategic, methodical, and intentional wielding of words that help the buyer to feel passionate about what the seller is impassioned by. Executed well, great reward ensues. There is a drawback to this type of marketing, and any Spiderman enthusiast will tell you that “with great power comes great responsibility.” Choosing Content Marketing over more superficial methods requires the company to be transparently authentic in their message. Often times companies use “click bait” to coax buyers to their door. The problem here is that when a company promises an opulent palace but provides a ramshackle facade, you can be sure that a buyer won’t be coming in let alone coming back. The success of Content Marketing hinges on the company's responsibility to stay true to its word. However, for authoritative companies this instance is one of those times where a drawback becomes an asset because companies of worth have no problem standing behind their claims. This asset is particularly appealing to buyers pursuing solutions, ones actively looking to have their needs met. For many people, the unknown causes much stress and anxiety, and even a seasoned buyer becomes apprehensive amid uncertainty. When well educated buyers are already considering solutions to their problems, they are more likely to buy if authentic content helps them to develop their expectation for their solution, and their experience with the company then meets or even exceeds expectations. Through a variety of mediums (i.e. social media, search engines, websites, etc.) Content Marketing helps gauge expectations, and when a company is able to deliver on their promise, the company’s credibility is heightened, furthering the likelihood of buyers returning. Credibility is cultivated over time, and Content Marketing if implemented consistently, will result in affirming a company’s expertise by not only gauging expectations but also providing valuable content. Through Content Marketing, companies establish a substantial presence in their field. This presence offers the opportunity for viewership on multiple platforms, and viewership coupled with expert content leads to shared content.The higher quality the content, the more likely it is to be referenced and shared, furthering a company’s marketing presence and status as an authority. When a company is able to secure their credibility in a given field, they become thought leaders. As pioneers in their industry, they are then able to pave the path of innovation rather than following. Their ideas are regarded more highly, and their desire to experiment with new techniques will be met with enthusiastic optimism rather than concerned speculation. Additionally, when credibility is established, it is then that companies are poised to claim unchartered territories in their field because they have garnered the support of their target audiences. If one is truly a thought leader in their field, it is likely that the appeal of this marketing strategy comes as a no brainer: quality content makes everything easier. Content Marketing allows a company to attract more inbound and qualified leads. When there is transparency and insightful information in a piece of content, a company will increase their likelihood of capturing serious buyers. Additionally, content is advantageous during the sales process. It becomes a tool salespeople can utilize to help develop buyer understanding. Well executed websites that are easily found send buyers to conversion-focused site pages where they can discover information like product details and pricing. Furthermore, Content Marketing drives more organic search traffic, and it has the potential to be “evergreen,” driving exponential traffic for years. Optimizing your site for target keywords along with creating an engaging social media presence increases a company’s visibility. Social media offers the opportunity for a different, yet important type of content. Through medias such as Facebook, Twitter, and Instagram, a company is able to not only communicate engaging content quickly and directly with buyers, but at times, these social channels can lend themselves to a more casual tone, making your company more personable, and ultimately strengthening the relationship between the company and buyer. Another way to strengthen the relationship between company and buyer is through email. Subscribers opt-in to this type of content which illustrates that the information is already of value to them. This type of immediate patronage is what sets Content Marketing apart from other strategies. It doesn’t need gimmicks to garner interest.